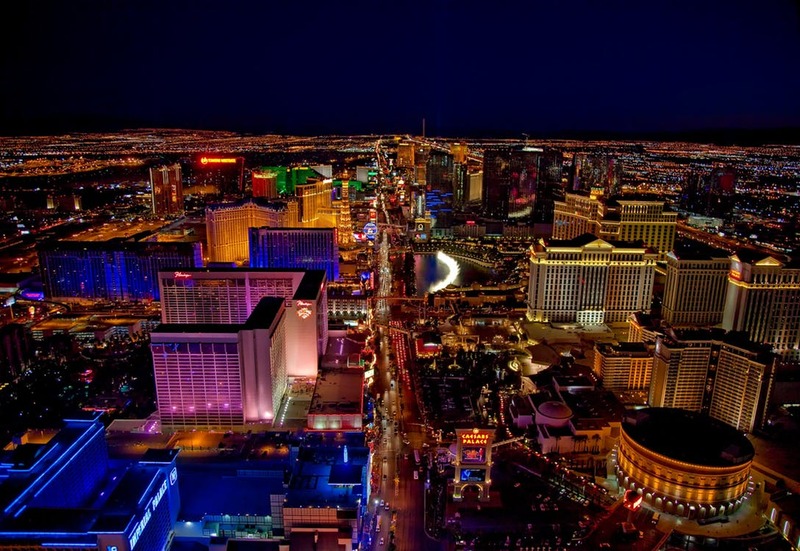 A monument to neon lighting flowering magically in the desert, Las Vegas is a must on the itinerary of tourists looking for non-stop entertainment in the United States. Nevada’s relaxed attitude to gambling and prostitution might have built the city’s reputation as a mecca for adult entertainment, but these days it has expanded its offerings to include loads of family entertainment too, from theme-park rides to spectacular shows. You’ll want to get to know a bit of the history and layout of the Strip before you dive into the pleasures of Vegas, and a guided bus tour is a great place to start. It also lets you identify the casinos you want to visit later. But the desert sun can be fierce, even if you’re not in it for very long, so carry bottled water to stay hydrated and reapply your sunscreen regularly. After sunset, the desert temperature can drop precipitously, so even in summer it’s a good idea to carry a light jacket, if you’ll be out after dark. Along with a tour, you’ll also want to walk around a few casino floors, getting to know the tables and machines you’ll be visiting for betting action, and trying to get a feel for the lucky ones. Apart from hundreds of real pokie games, you can enjoy everything from roulette and bingo to classic card games like poker and blackjack in Las Vegas casinos. The point of a Vegas experience is to try new things, so don’t be shy to take lessons in a game you haven’t played before. Many casinos offer free table games lessons in the afternoons, and dealers are always happy to explain the rules and betting options to novices. Maps and apps can make everything look deceptively close in Las Vegas. In fact, the Strip is more than 6 km long, so taxis, trams and the Las Vegas Monorail are useful for any trip that takes you more than two buildings away. Moving walkways inside and outside the casinos will also save wear and tear on your shoes… and feet. But you can wait up to 30 minutes for a taxi, and twice as long at peak dinner hour, so take that into account when planning rides to shows, events or dinner reservations. All Vegas resorts have player loyalty cards, and you should sign up for one immediately you arrive. You then accrue points every time you play in the casino, and if you swipe it with every transaction you make on the property, the rewards can add up and translate into great freebies on your next visit. Even if you aren’t gambling, players’ club cards offer discounts on restaurants, shopping, shows and other freebies. Las Vegas sees its heaviest dinner traffic from around 6-8pm. If you plan your activities so that you can eat earlier or later, you’ll spend less time waiting for a table or standing in endless buffet queues. Use the tips and you’ll enjoy your visit to Sin City that little bit more!